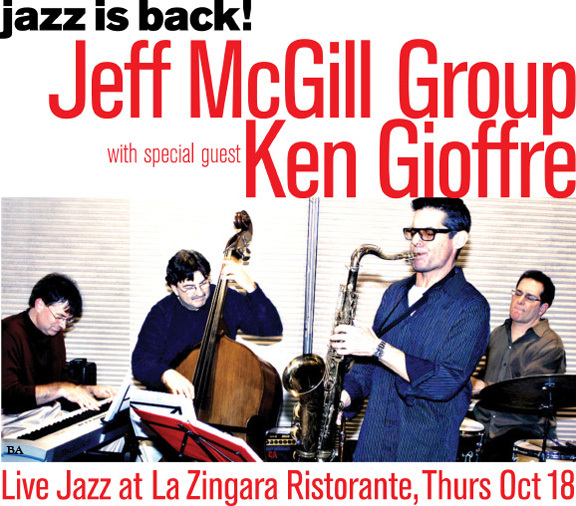 Swinging for over 10 years at Pizzeria Lauretano, award winning live Jazz is now at La Zingara Ristorante (highly rated by Zagat). World class musicians who’ve played with some of your favorite groups are at your doorstep in historic downtown Bethel. See old friends and make new ones at communal tables. Seating is limited so bring your friends and book now.